Don't let her beauty fool you, this flower is pure poison. Check out Stiletto Rose! Exclusive! Mike Reads Excerpt From "Hell and the Hunger"
Parades! Confetti! Fireworks! Explosions! We have winners in the Hell and the Hunger September 2016 Giveaway (catchy name, huh?)! Congrats to Archit for winning a $25 Amazon Gift Card, Ricardo for winning a signed hard cover copy of Hell and the Hunger, and both Janet and Rudy for winning signed paperback copies of Hell and the Hunger! <Cue triumphant music> Music? Hello...is anybody there? Where the hell is the band? Oh well, congrats to all the winners! Thanks to everyone who entered! Happy Reading! Kallum's Fury Goodreads Book Giveaway! 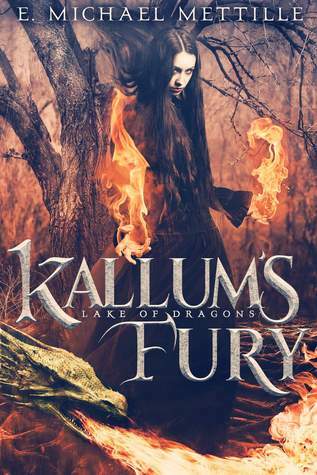 Two signed copies of Kallum's Fury are up for grabs! The contest closes Sunday, September 18, 2016. There is only one day left to enter. Don't miss your chance to win! Giveaway ends September 18, 2016. Summer is quickly coming to an end. That means the nights are getting longer and darker. Joe likes that. He likes long, dark nights...plenty of time to feed. Now is the perfect time to meet Joe and the rest of the cast of Hell and the Hunger. In fact, you can do it without spending a dime. How? Well, by winning the Hell and the Hunger September 2016 Giveaway, of course. One lucky winner will receive a $25 Amazon Gift Card, another even luckier winner will receive a signed hardcover copy of Hell and the Hunger, and two equally lucky winners will receive a signed paperback copy of Hell and the Hunger. Click here for all the details! Join me and seven other awesome authors as we help J.L. Clayton celebrate the release of her latest novel A Darkening of Magic. There will be games, giveaways, witty banter, rockets, explosions, blood sacrifices...okay... I may have exaggerated a bit. There will be games, giveaways, and witty banter. I can't promise the rest. However, I can guarantee it will be a wicked good time! ​Watch the video below and click here to learn more.